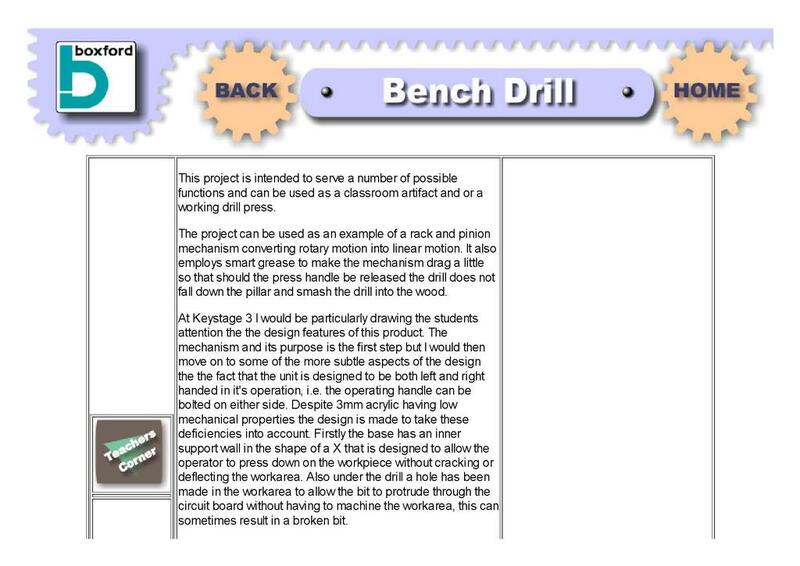 This resource from Boxford presents CAD files for the development of a working bench drill press made from 3mm acrylic. The drill press is designed to be laser cut. The resource describes how the bench drill press can be used as an example of a rack and pinion mechanism for changing types of motion. It also describes how the product could be used as a vehicle for product analysis. This includes reviewing its design properties, identifying potential flaws and explaining how to improve the product. Curriculum links include mechanisms and types of movement, product analysis and outputting of CAD drawings to CAM equipment.